We’re currently in the middle of quite possibly the best time to Honeymoon in New Zealand – the Autumn! A lot of international visitors book their New Zealand honeymoon 12 months ahead, so we’re not really getting ahead of ourselves. 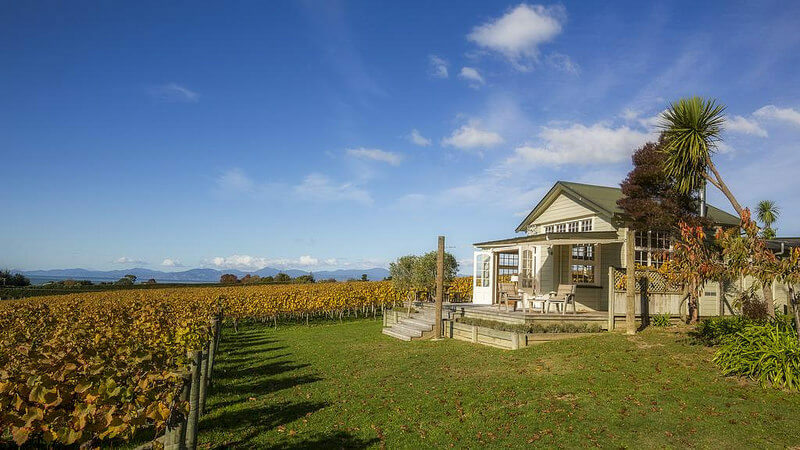 There are a number of reasons why you should think about planning a honeymoon in New Zealand’s Autumn months. Here are a few to think about. The Autumn months between March and May are utterly gorgeous. Because many travellers are focused on visiting in the peak summer months, most never realise what they are missing! In the Autumn, the scenery is at it’s most beautiful. You’ll see the red and golds of the trees changing, the first snow on the mountains, and clear sunny skies. In terms of weather, this is actually the calmest time of the year. Much of New Zealand’s weather is pretty turbulent – that’s what you get being so close to both the ocean and the mountains! “Four seasons in one day’ is a pretty accurate description of what travellers experience here. However, rainfall and storms are at their lowest in this time of year in both the North and South islands. Nature actually creates a darker light, as the sun is higher. The kind of warm light that Northern Europe gets only in the summer is in New Zealand year-round! Compare this with the fiery Autumn colours, and you have some stunning photo opportunities. The lower tourist numbers mean that loved-up honeymooners will get a lot of space to themselves to photograph those surprisingly friendly Tui and Fantail birds. There’s nothing sweeter than recalling those beautiful moments – when there was no one else around! Late November to February is the busiest time of year in New Zealand for travellers. The majority want to visit in the summer (and maybe fit a warm Christmas in!) However, many travellers don’t realise that these are the school summer holidays and main travel times for local kiwis too. You will find areas like Queenstown and Fiordland at max capacity, and finding a quiet spot to relax and take in the scenery won’t be an easy task. Whilst many travellers don’t mind this, others find that it doesn’t give them the serene experience of New Zealand they hoped for. 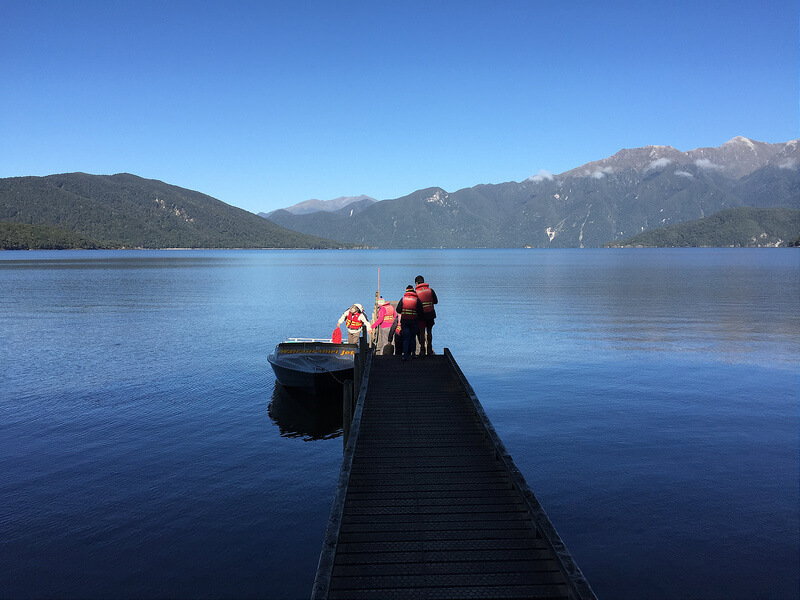 In the Autumn months, it’s still possible to enjoy off-the-beaten places like Lake Hauroko in the Fiordland National Park. Numbers in organised tour groups will also be much fewer, so you’ll often get the undivided attention of your guide. 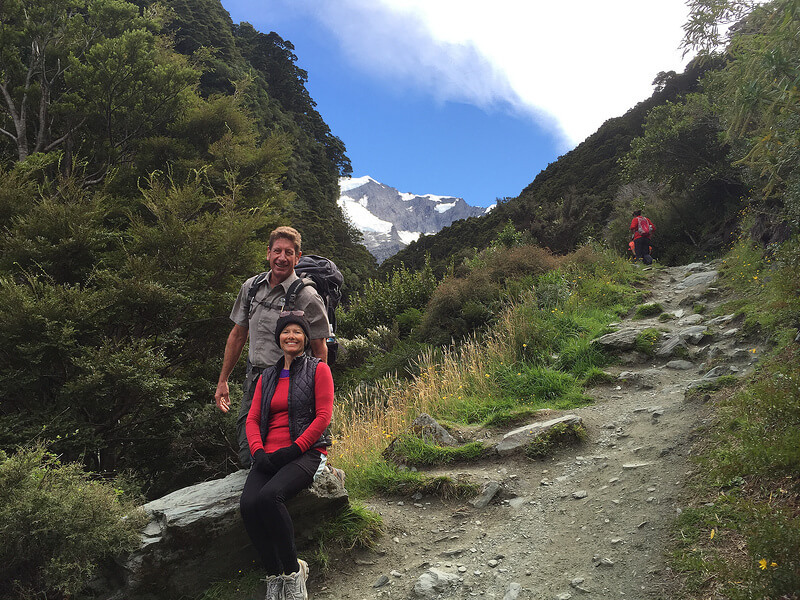 One of the best experiences of travelling through New Zealand is its people. Getting off the beaten track into the ‘heartland’ very often means establishing long-lasting friendships with the locals. It’s much harder to do this during the peak season when the turnover of tourists is much higher. Travelling at a quieter time of year means getting to spend more time with the people that make this country so special. Of course, it’s very beneficial to your wallet when the ‘shoulder’ rates kick in! 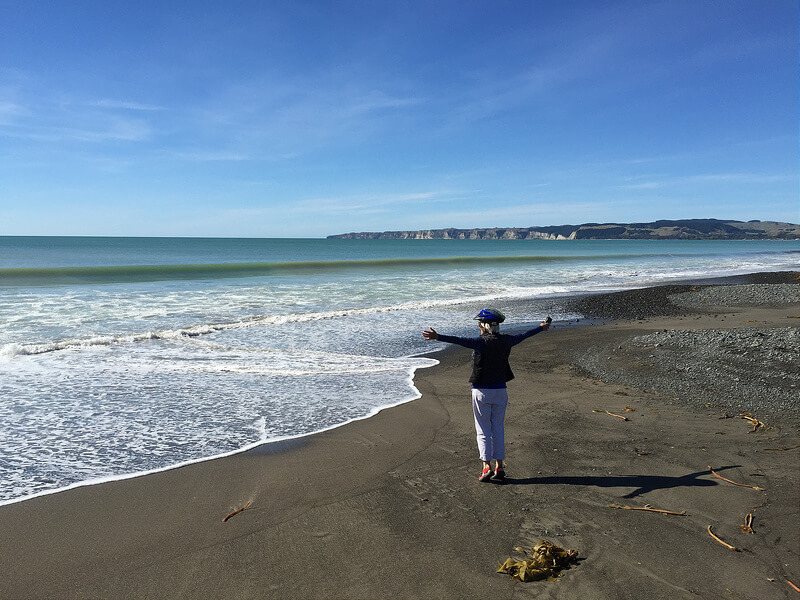 Price fluctuations can be pretty dramatic in New Zealand, especially within the high-volume tourist areas. The mark-ups during the summer are high, and there is often the need to book a year in advance to secure a reasonable price. During the Autumn, you will be competing with far less other travellers. Plus, there’s the added bonus of having a better range of choices for romantic accommodation. You may not be so lucky to get this romantic vineyard cottage in the busy summer months! Long after the Christmas/New Year visitors have departed these shores, you’ll get to explore great walking tracks without meeting a single soul along the way. How cool is that? 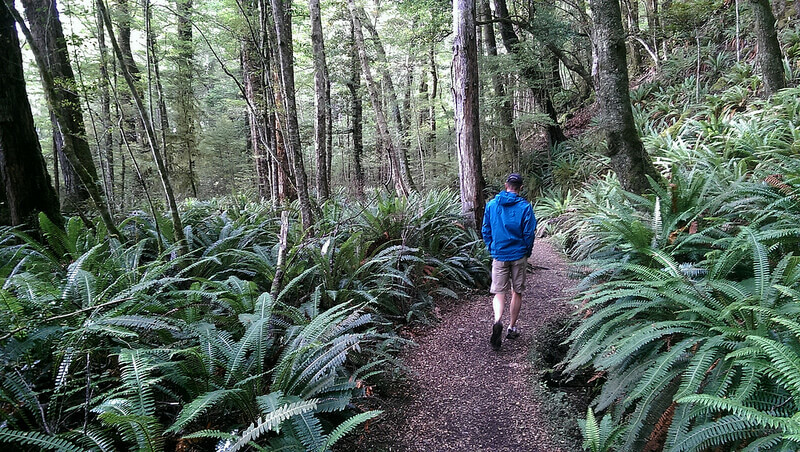 Plus, hiking in the summer heat is not always best-suited to everyone. New Zealand bush is simply magic. Walking through the thick green coverage, hearing the local birds singing and smelling the pure New Zealand air is the simpler life we often yearn for. But even if we travel for only a few weeks, it will stay with us for a lifetime! Happy travelling for your Honeymoon in New Zealand! Thank you for your lovely comments Jan. Yes, we wonder why visitors see Autumn as a winding down time. For us, it’s towards the end of a busy season and that’s when we get to have a stress-free explore of parts of the country. Sure, you might need to add an extra layer of clothing but we’ve found that aquatic activities are great at this time of year, as the waters are usually so calm. Great for biking tracks too. 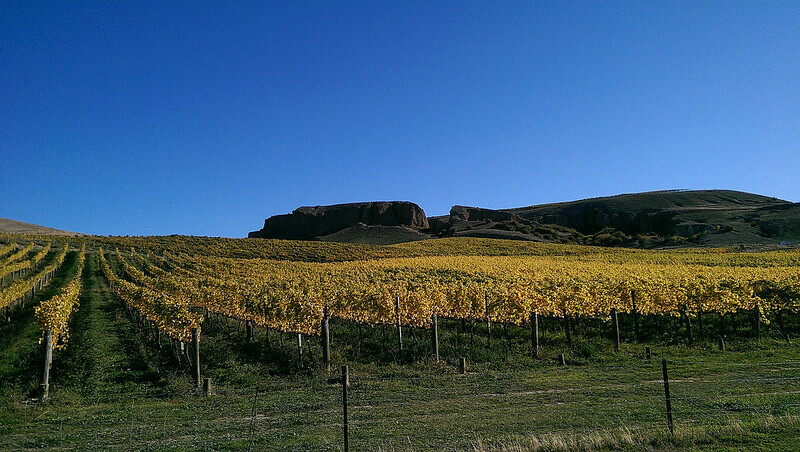 And those Autumn colours are spectacular. Could not agree more and agree with the comments above re clothing – whilst we are not often as cold as what they are used to it is still winter or nearing Spring and with that you get a real mixture of weather. We had our own first honeymooners of the season last week – young couple from Paris married a week earlier – awesome to be able to share our little piece of paradise here in Waihi Beach and point them in the direction of Waitomo for the glowworm caves and Otorohanga to see kiwis and most of our native birds at the Kiwi House. Enjoy your blog – it reminds us of what a great country we are fortunate to live in. Greg and Ali, this is what’s so great about staying with the ‘locals’ – local knowledge. We love honeymooners because they’re always happy and like you, we enjoy sharing our passion for this country.